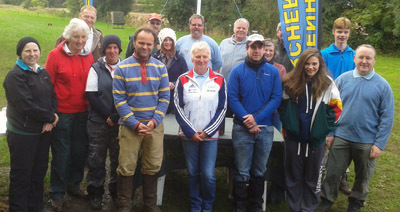 Chippenham Archers hosted the 2012 DWAA Field Archery Championships. The weather was kind with the sun shining and no wind all day long. It was a good turnout, with the course full. Supermarine continue their dominance in county archery with Simon Bulley and Rachel Vines winning the gents and ladies recurve, Mike Vittles won the gents compound and Jim West won the gents traditional division. Ladies and gents barebow was won by Mere Archers – Rebecca Fay and Neil Sutton. Mere Junior Archers – Joe Stout Fay and Evie Sutton Fay won the junior gents and junior ladies recurve respectively.